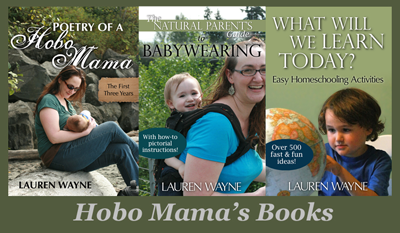 Hobo Mama: Reassuring an older sibling: Mama, Do You Love Me? Reassuring an older sibling: Mama, Do You Love Me? This is my standard disclaimer that I just had a baby so am a little out of it. Here's another glimpse into what's going on around these parts. 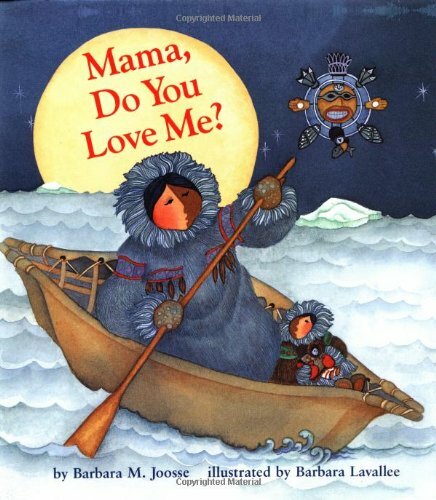 I want to share my new favorite book for reading with Mikko: Mama, Do You Love Me? — by Barbara M. Joosse & illustrated by Barbara Lavallee. I checked it out in my big-sibling book frenzy. I probably have two or three more posts' worth of reviews to share, incidentally, and I initially included my notes to this book within my drafts. On reflection, though, I had to admit: This book is not a big-sibling book at all. Oh, I mean, it can be, and for my purposes it's functioning that way. But there is no mention of a sibling within its pages — it's just about a daughter testing out, in vivid imagination, the limits of her mother's love — and finding out there are no limits. And, seriously, just typing that last part of the sentence made me well up. This book is so happy-sappy-making, but in the good way: the funny, charming, truthful way. Then I would be sorry. Then I would be angry. I love the calm and loving response of the mama to every prompting of her daughter, and I love any book that lets me read the word "mukluks" out loud. As far as finding a home with attachment parents, the attitude and connection of the mother and child are very attachment-oriented and correspond well with gentle discipline. The mother admits what her emotions would be without attaching any blame or shame to them. I think this would be a good book for any parent-child pair, but would work particularly well if there's any turmoil or limits-pushing in the relationship, as when there's been a new birth, to reassure both the parent and the child. It's also a very natural setting, with local animals and with the mother busy at work in many of the pictures taking care of her home in a traditional way. My favorite aspect, though, is that the girl is carrying her doll around in her hood, just like a baby in an amautik. The book is written and illustrated, as far as I can determine from head shots and bios, by two (admittedly delightful) white ladies. That said, I appreciate that the text and art reflect Inuit/Eskimo culture. Barbara Joosse has put out companion books as well. In Papa, Do You Love Me? a Maasai father reassures his young son using the language and experiences of the Serengeti. And Grandma Calls Me Beautiful is set in Hawaii. Just a note: The hardcover version I got from the library has a nice glossary in the back that defines all the Alaskan terms. A reviewer on Amazon noted that the board book is missing the glossary, if that's important to you or your kids. Me too. Have you read her I Love Your the Purplest? It's the most amazing book I've read about explaining to two children how you can love them equally for their different qualities. This is one of our little man's favourites too! Thanks for the tip! This book looks beautiful. Our favorite (having never heard of this one) is Mommy Do You Love Me, by Jeanne Willis and Jan Fearnley. That one has been great at our house because the Mommy has to scold Little Chick - just like I often do (and I'll admit it, sometimes get carried away about). Anyway, thanks again for the review. @Adelas: I've put that one on hold, too! Sounds like a good one around here (sigh — I need to chill out about the scolding, too). Unfortunately, most of the books you reviewed before are not available from my local library. I did get one, but it just wasn't what I was wanting. I've requested this book now as well as the one Adelas recommended. I'm looking for... I don't know, something for my nearly-two-year-old that talks about a baby being on the way with maybe a little scientific content... some images of babies inside bellies, maybe? Mama Jorje, I've heard great recommendations for Baby on the Way by Dr Sears. I can't remember how detailed it gets though. I have read Papa Do You Love Me? and I think it's as great as Mama Do You Love Me? The little boy is timid and nervous and Papa reinforces that he will love him even if the cattle get lost on his watch, or if he's too scared to do something. I should really get a copy, because my daughter is working through a lot of fears lately, and I think she needs some extra reinforcement that we still love her, while we try to encourage her to try the things she used to love that are now so scary. I loved your review, thank you. Looking forward to checking it out from the local library! We love this book - I bought it when my first was a baby, long before any siblings were on the horizon, and we continue to enjoy it often. This is exactly what I needed today! I've been looking for a book to help me reassure my daughter that I love her ever since her little sister arrived 3 weeks ago. I'm so excited because our library has 2 copies! This book sounds delightful. We often have similar conversations... "will you still love me if I do x or y?" and it always makes me smile to hear what my kids think are 'really really bad stop loving you' kind of things. My sister (from your neck of the woods) loved that book and sent it at the time for my little one.